Funnybones by Janet & Allan Ahlberg £5.24 – A Classic. I had this as a child and recently found a copy in our local charity shop. This is the first book in the series of the Skeleton family and their nighttime adventures. What’s in the Witch Kitchen? by Nick Sharratt £9.99 – A fab lift the flap book that shows a trick or a treat depending on with door/cupboard and drawer you open in ..the witches kitchen. Boo Bat by Charles Reasoner £5.95 – Part of a collection of Halloween tales (Mr Bones, Halloween Ghost and Magic Broom) the shaped board books make them perfect for toddlers. Five Little Pumpkins by Dan Yaccarino £3.74 – Five little Pumpkins sitting on the gate. The first one said. “Oh my, it’s getting late” – a fun little book with vibrato illustrations. Where’s My Mummy by Carolyn Crimi £4.97 – Little baby mummy don’t want to go to bed and wants one more game of hide’n’seek with big Mama mummy but what will they find in the deep, dark night? Ghosts in the House! by Kazuno Kohara £4.34 – A simple book with limited text but great illustrations that you can make up stories round. Room on the Broom by Julia Donaldson and Axel Scheffler £3.85 – This is a firm favourite in our house as our most Julia Donaldson books. This tale is about a witch and her cat flying through the night collecting guests along the way… and a brush with a greedy dragon! Who’s There on Halloween? by Pamela Conn Beall & Susan Hagen Nipp £3.10 – The perfect first Halloween book- a sturdy board book that introduces little ones to the characters of Halloween. In fact it’s a condensed collection of the Charles Reasoner books above (as he is also the illustrator). 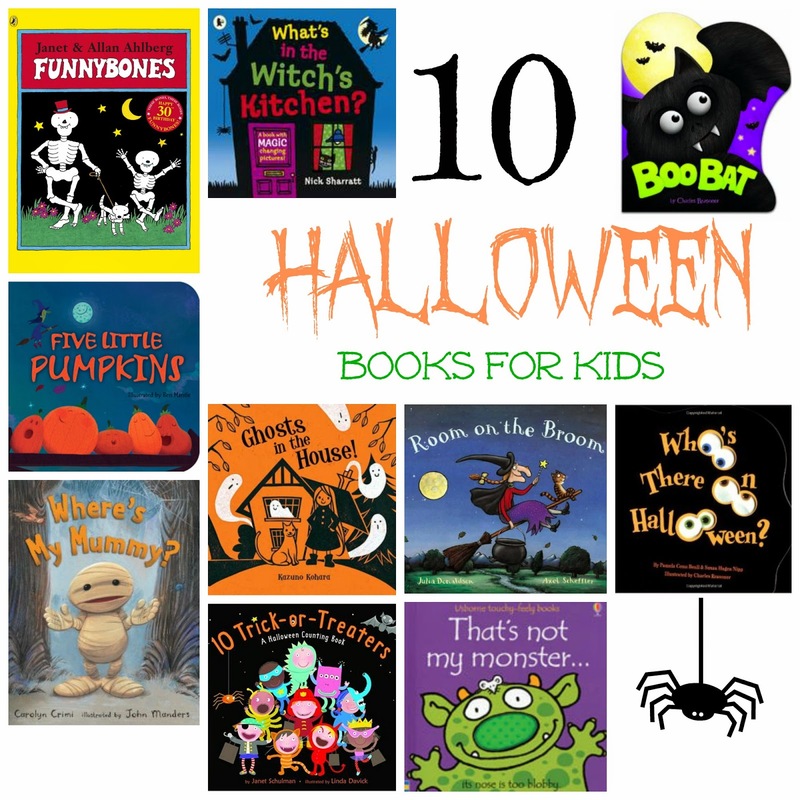 10 Trick-or-Treaters: A Halloween Counting Book by Janet Schulman £4.34 – Go trick or treating without leaving the house with this 10 little kids – and a few scares along the way. A cute book with fabulous colourful pictures. That’s Not My Monster by Fiona Watt £5.99 – From the classic series of That’s Not my… this touchy feel book is ideal for small hands.